Bruno Ravella’s staging of Verdi’s final opera Falstaff — based on The Merry Wives of Windsor — is set around the time of the work’s Milan premiere in 1893, with the wives and their menfolk in late-Victorian dress, and the second scene in a garden outside Ford’s house transferred to the busy concourse of Windsor station, where the ladies regularly disappear into a handy tearoom to scheme. Giles Cadle’s entertaining sets can be instantly changed, giving the show an effortless flow. The final nocturnal scene in Windsor forest possesses real visual magic; when one comes out of the theatre into the rural environment of Wormsley at dusk, it takes a moment to realise that one is no longer in some conjured fairyland – an illusion to which the delicate playing of the Philharmonia Orchestra under master Verdian conductor Richard Farnes has contributed significantly. This closing scene – half masque, half folk-ritual – occupies a special world of its own, but throughout Ravella and his team maintain a fine balance between Shakespearean farce and Italian opera buffa at its most vital. 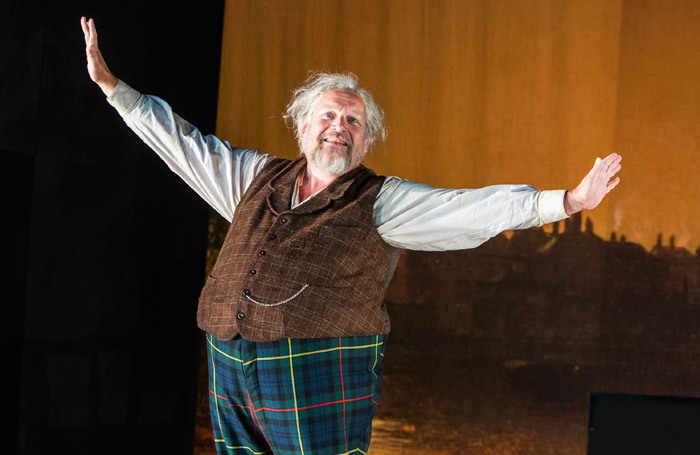 At the show’s centre Henry Waddington offers a Falstaff of warmth and humanity as well as comedic flair: his dashing appearance in Scottish garb with all the trimmings for his disastrous attempt to seduce Alice is a wonderful moment. Waddington can and surely will go further with the role, but already the basis for an exceptional interpretation is there. The surround is largely excellent, with particular standouts from Yvonne Howard’s on-the-button Mistress Quickly, Oliver Johnston’s lyrical Fenton, Soraya Mafi’s entrancing Nannetta and especially Richard Burkhard’s furious Ford. Taken as a whole the evening brings us close to the heart of a comedy that proves – in the words of the final fugue – that life makes fools of us all.